HOW TO - 1.9TDI Wiring Part 2 Engine end. So what connectors should I be left with on the engine side of the firewall? 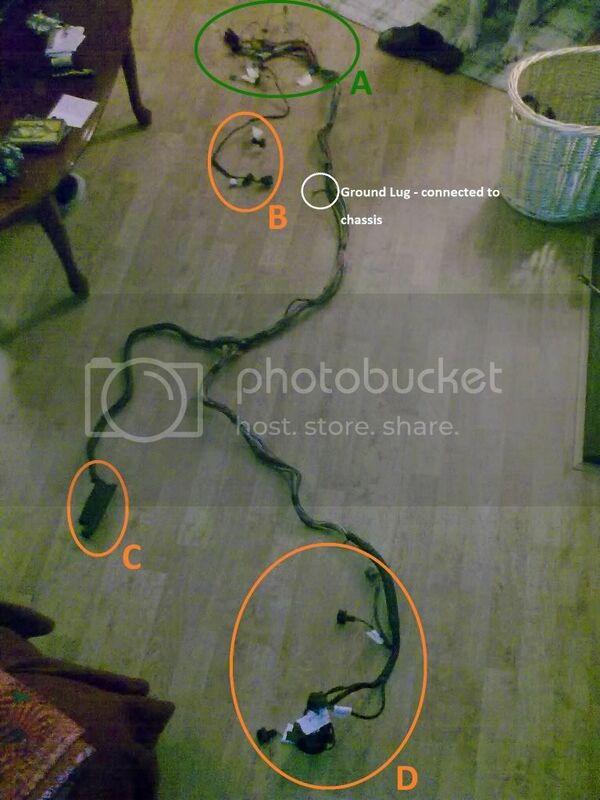 Numerous items connected here incl. glowplugs, temperature sensors, oil pressure sensors, etc. I won't cover all of the individually connected items as this connector is large and it's purpose is fairly obvious. This signal is used by the ECU to determine the temperature of the aircharge entering the engine from the intercooler and is used to adjust fuelling and control other engine parameters. This connector handles the fuelling and injection timing adjustments as well as the fuel temp. measurement. Note that this should be connected to a 2 pin connector that fits the alternator, as I didn't remove the loom from my donor vehicle the person who did cut the connector off in error. Suffice to say that this should be connected to D+ on the alternator itself. The wire is plain blue and is connected to pin 3 of fusebox connector 'F' as shown below. This signal is used by the ECU to determine the crank speed and position. This has a direct bearing on injection timing/quantity and a number of other parameters. This sensor is used to calculate the actual point of commencement of fuel injection from the time difference between the signal of the needle lift and the TDC signal supplied by the crank speed/position sensor. At the same time, the ECU compares the actual point of commencement of injection with the setpoint stored in the control map and corrects any deviations from that setpoint. This signal is used by the ECU to regulate boost depending on engine speed, throttle position, and other engine parameters. This signal is used by the ECU to regulate the EGR phase when the motor is at low/idle engine speeds. It is driven by a PWM signal whose duty cycle is varied depending on a number of atmospheric (baro pressure etc. )/engine conditions. So do I need to make any other modifications to my wiring harness? You need to slice the tape open on the old engine harness and remove this part. 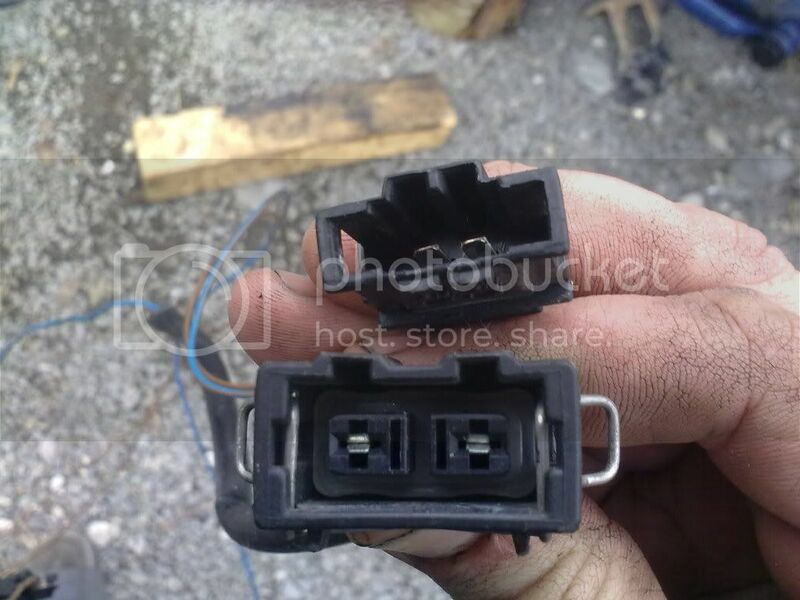 Once you have done this, remove the bit shown above, attach it to the new TDI harness and re-connect at both ends. A useful tip also is not to tape the stripped out TDI harness-up until you have figured out how it is routed around the T4 engine bay, when you are happy then get to work with the tape. This will allow you to take all the curves/bends in the harness in account and make the routing neater when applying your choice of tape - I used self-amalgamating tape but ordinary insulation tape is fine also. 1.9Tdi Converted 94 Caravelle build thread keeping it classic! Everything you ever wanted to know about converting to 1.9tdi power! Click me! The harness for the pump will remain on some vans only. 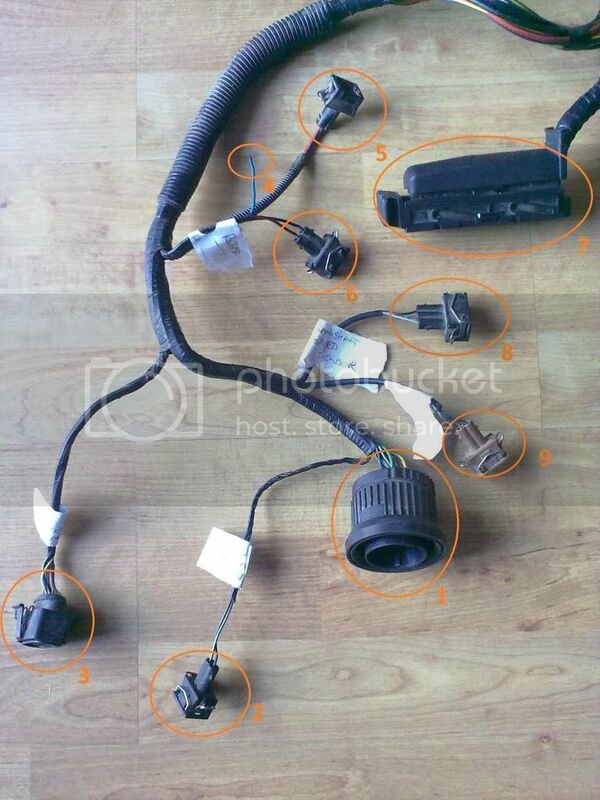 If you have a 2.4D, the electric pump wiring is part of the original engine harness. I also assume this applies to all the other wiring including the glowplug supply. 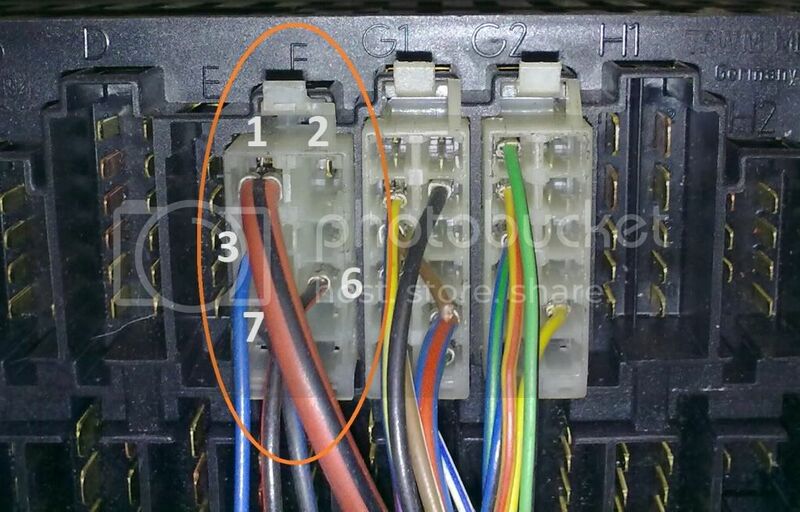 The two wires arrowed do not head out under the bonnet but instead loop back to the fusebox and connect to the black box on top of the fusebox arrowed in the second piccy. That box on top of the fusebox looks like the the glow controller used on some later vans and other VAG stuff (Caddy/Inca etc.) with IDI engine I think. And no, this is not required as the ECU controls glow period via the new 103 relay. 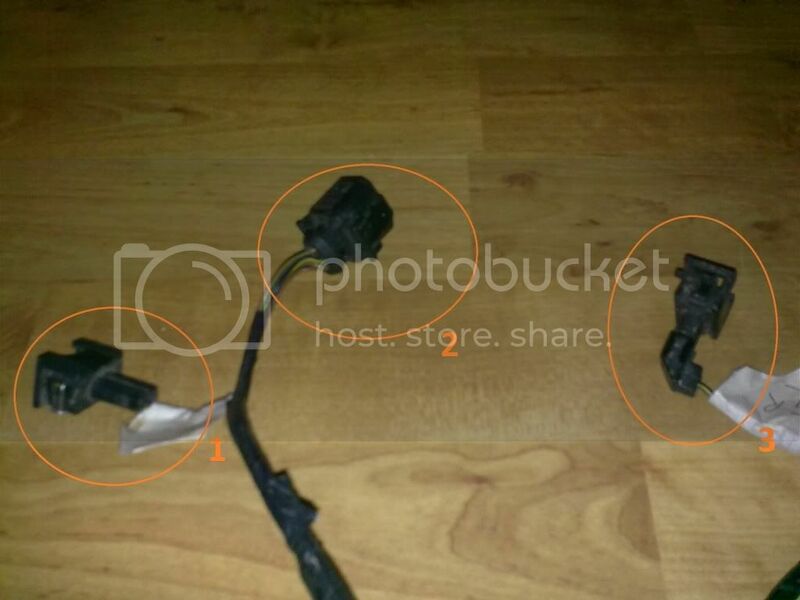 » Re: HOW TO - 1.9TDI Wiring Part 2 Engine end. Sorry if this is in the wrong place I am new to forums .Absolutely awesome work penbryn I am just getting my head round the wiring on my conversion while I am waiting for the gearbox to be overhauled and my VR6 clutch may as well do it right first time. I just have a couple of questions if you dont mind one of them you have probably answered above but I could not see the pics.I think the black box refered to is what looks like a relay with the number 137 on it so that should be removed ? I also have another relay marked 53 mounted on top of the fuse box with two red wires and black with yellow wires going to a fuse and then black with yellow going into the loom via a yellow connecter can these be removed or is the yellow black for the glow plug light.Sorry if I seem thick but I have read these posts so many times my head is spinning. Thanks for the brilliant guide before I start. I've just bought a TDI engine, harness, ECU and pedal box (from a passat) . I've followed the guide and I'm suspicious about a black and white wire that feed into the multiplug. It seems to have been split and has two heavy black wire attached to it that I think led back to the -ve. 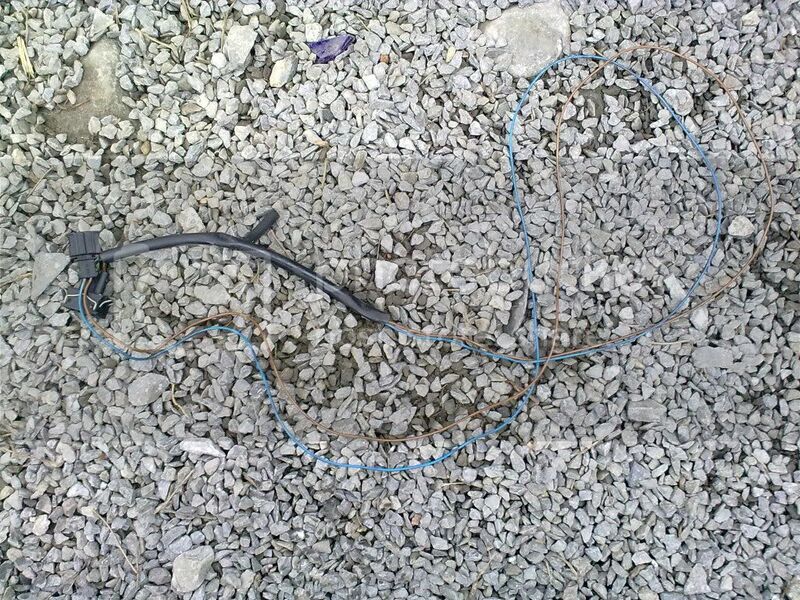 If you look at the photo you can see that the wire has been split and joined to the heavy black wire via two blue crimp connectors. My question is, what should the black and white wire coming from the multiplug be connected to? Thanks in advance.